HOME SWEET HOME! 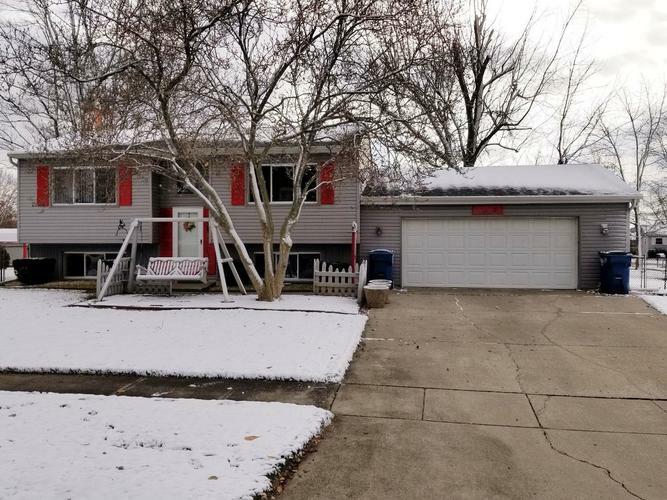 This bi-level home features all oak trim and doors on upper level, two bedrooms with larger closets, a rear door which walks out to a 14'x12' screened in deck. Downstairs features a very large family room with gas logged fireplace and blower. There is also a guest bedroom and 1.5 bath for those special holidays! Home has a BRAND NEW FURNACE, NEWER HOT WATER HEATER, and walk out to a garage, partially insulated with garage door opener. All appliances stay with home except for freezer in laundry room. Rear yard is fenced in with storage shed and screened in deck for your barbeques and fun. Windows are newer than the home. Directions:Commercial Ave. to Joe Martin Road, south to Driftwood Dr. East to home.